This is one of my freelance projects from early winter '15. 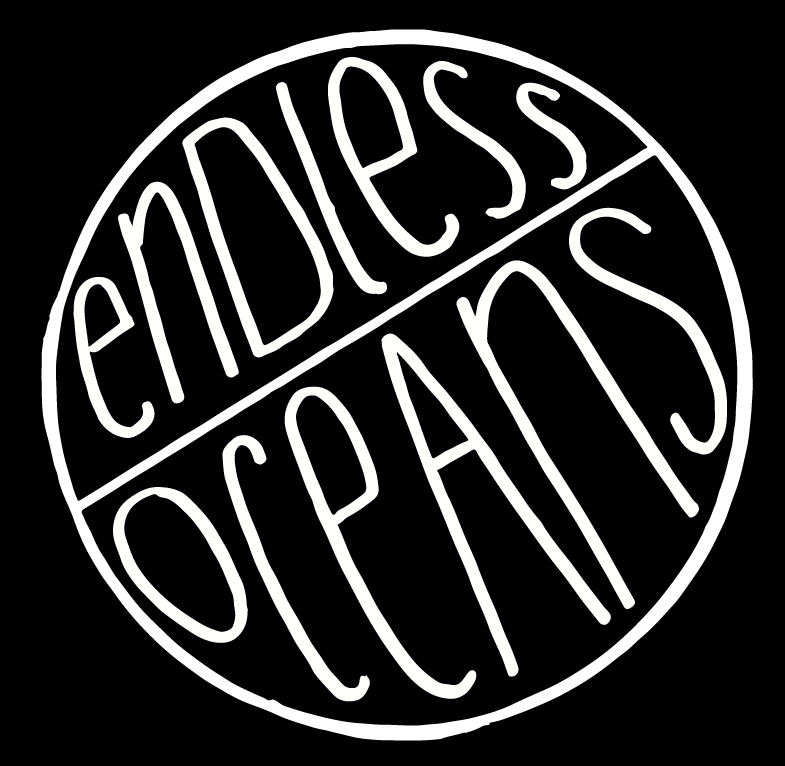 I was hired to design a few logos for a friend who wanted to start her own clothing brand called "endless oceans" based out of new york. she wanted me to incorporate my hand drawn qualities into her brand's identity while making a series of logos. 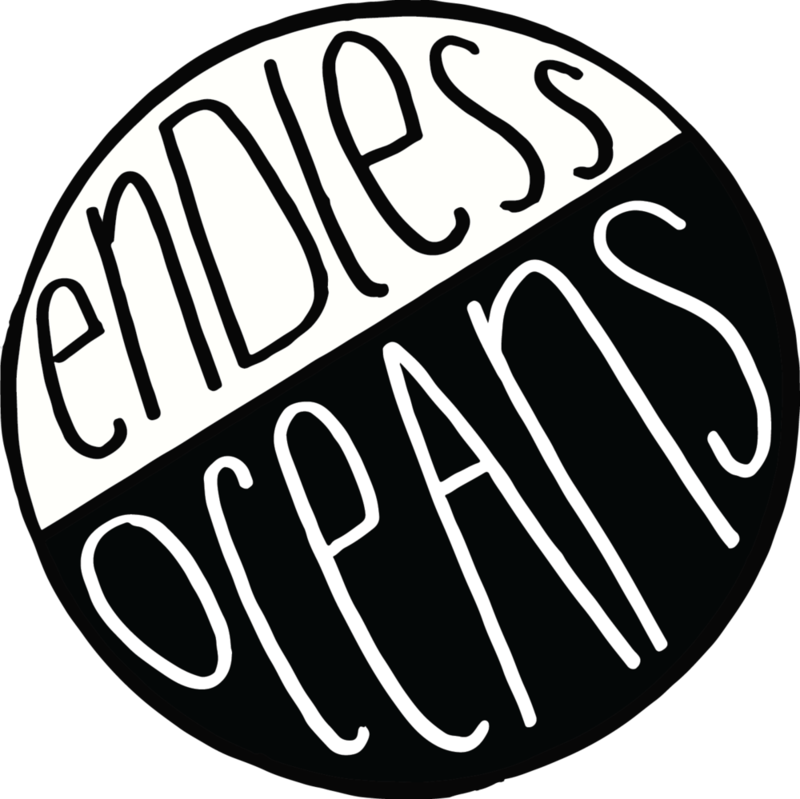 check out http://www.endlessoceansny.com endless oceans' shop. 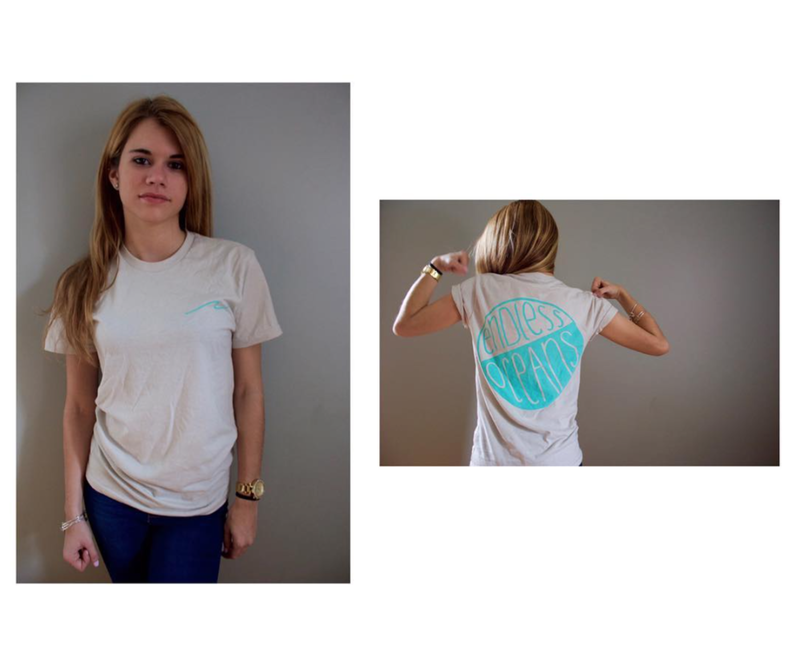 These are live images of the product mocked up and on person. 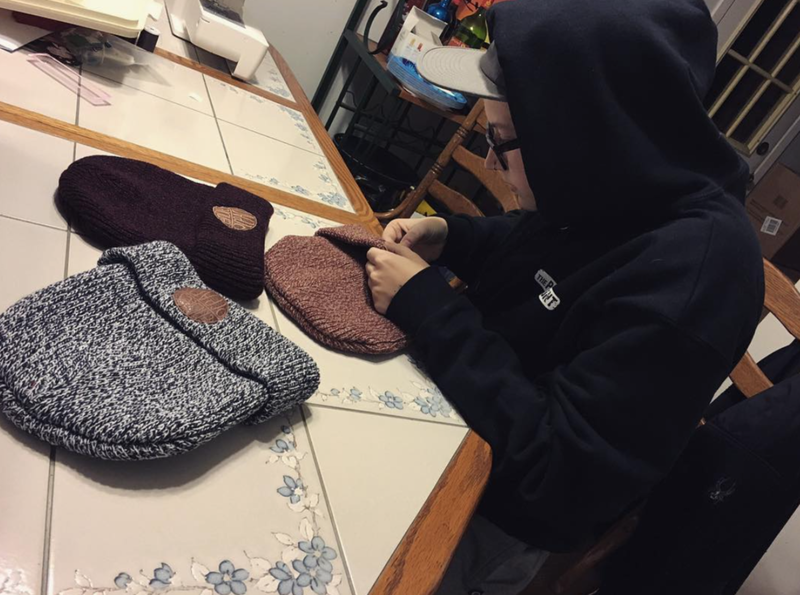 Amanda had some leather patches made and hand sewed them onto some knit beanies. 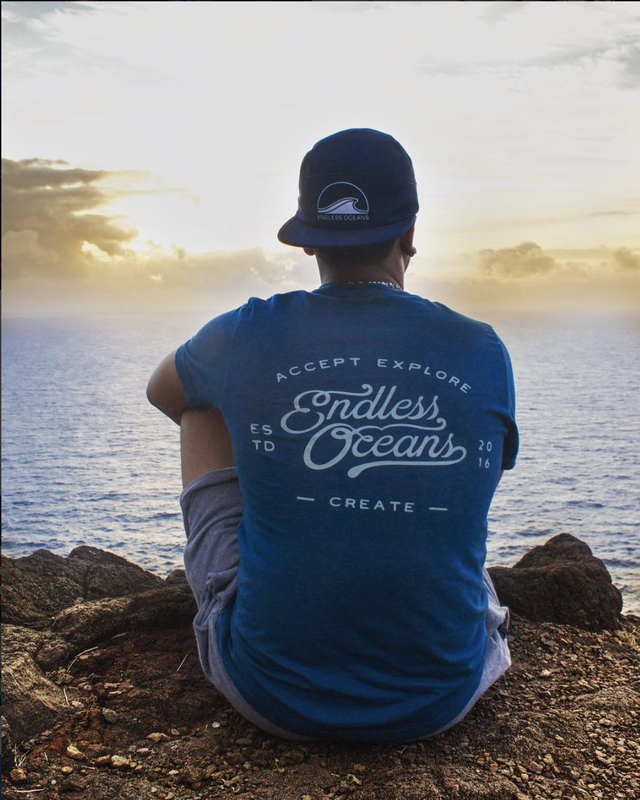 As well as high-quality screen printed tees, and heat-press ink designs printed onto 5-panel snapbacks! 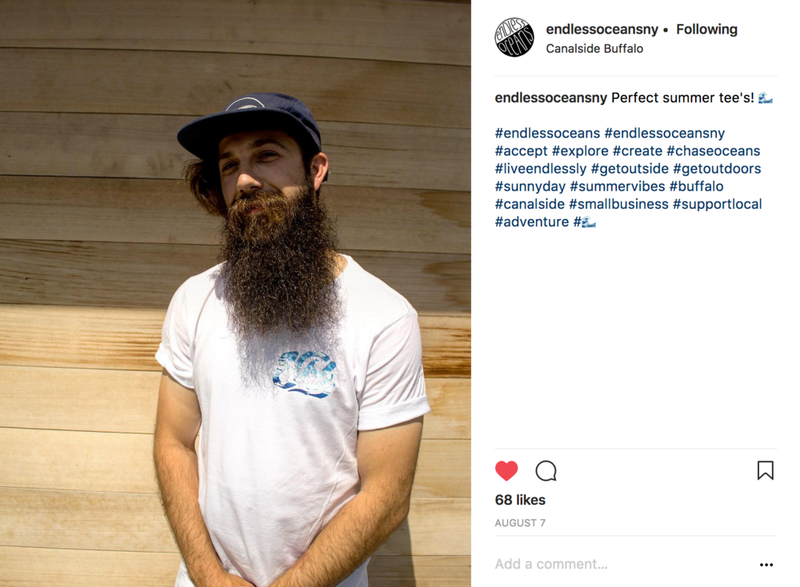 Here are a few examples of the EO logos were used in Social Media platforms (Instagram posts, as well as Facebook business page). Also a view of the logo used as an icon, while displayed next to some of the products I helped design for EO. 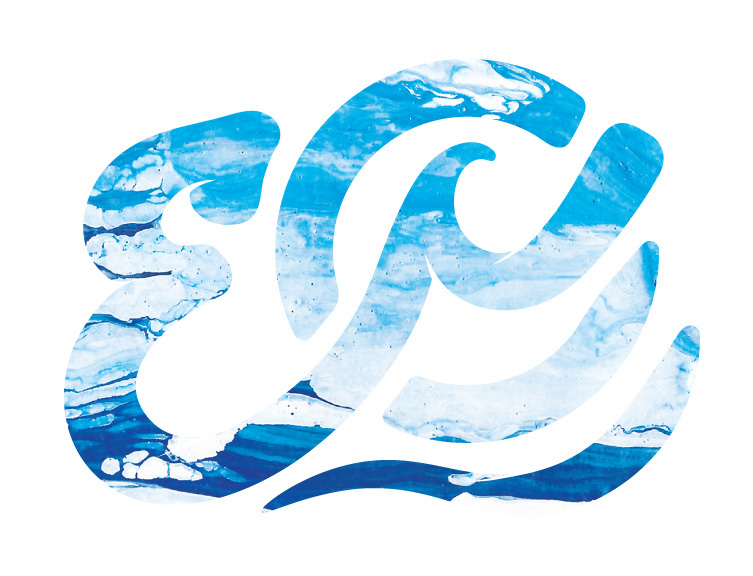 The EO logo seen here was already created by another artist. 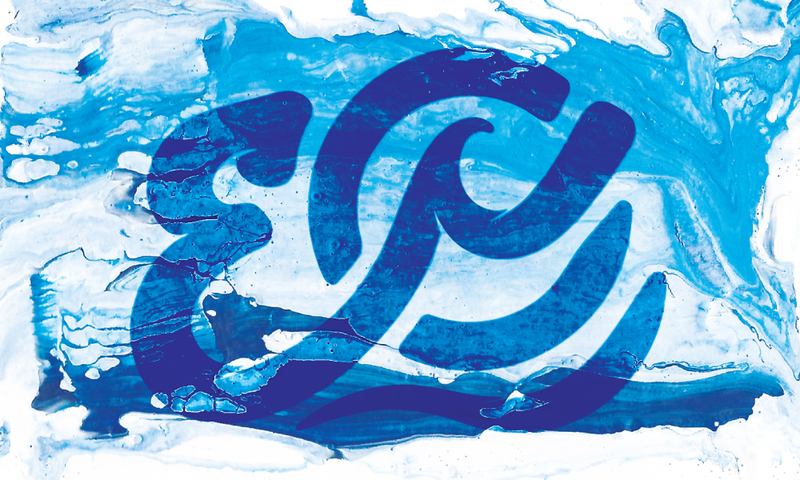 Amanda hired me to design a paint texture that would be similar to the color palette of ocean waves. So in result, we agreed that I would create 2. 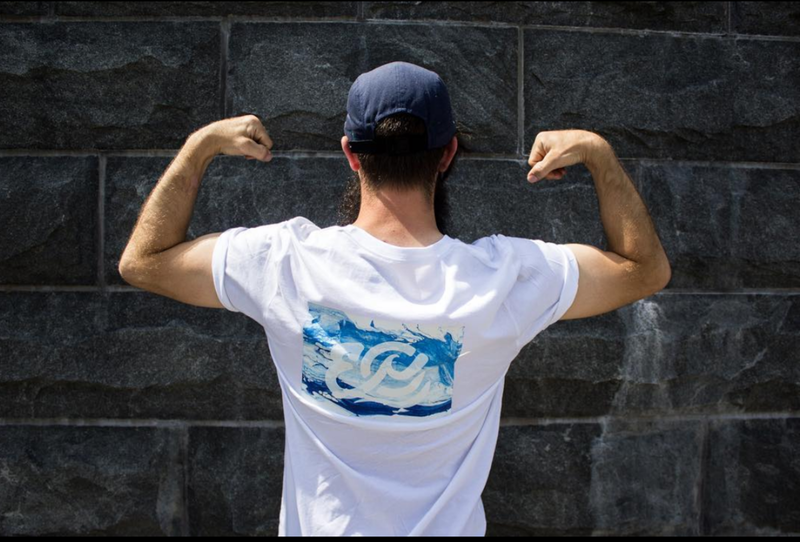 1 was used for a 5x3' flag and 1 was printed on the front and back of t-shirts. 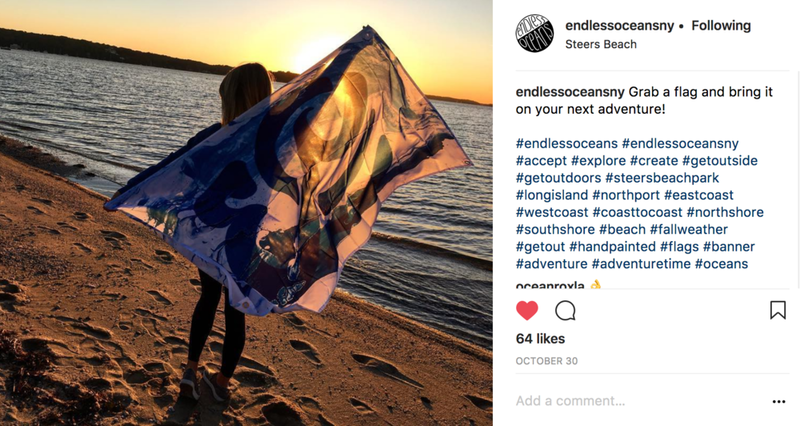 To purchase, visit endlessoceansny.com.